Dishwasher Expertise - All About Rooter LLC has been fixing dishwashers for years. If you find that your dishes just don’t get clean even after the dishwasher runs, the food disposal may be clogged. 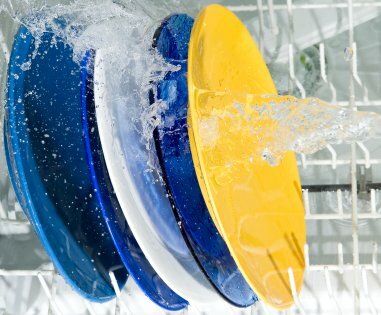 This can prevent your dishwasher from spraying enough water to fully clean your dishes. On the other hand, you may need a new water-inlet valve to improve the flow of water to your dishwasher. At All About Rooter LLC, we can diagnose the problem, fix it and be out the door before the other guys could even tell you what’s wrong. Dishwasher Piping Experts - In many houses, the dishwasher and sink share the same drain. If the dishwasher piping is installed incorrectly, dirty water from your sink can back up into your dishwasher. At All About Rooter LLC, we ensure that your dishwasher piping is installed correctly to avoid back-flow. 24 Hour Availability - When your dishwasher stops working, your whole family’s routine can be disrupted. That’s why the plumbing experts at All About Rooter LLC are available whenever you need us. Call (253) 200-1643 anytime, and we’ll be on our way. Whether your dishwasher is clogged or leaking out the door, we’re here to help. If you’re sick of all those dirty dishes in your sink, we can help. Call All About Rooter LLC at (253) 200-1643 for a free quote today!